Did anyone else go through a Strawberry Shortcake doll phase as a child? No? What about My Little Pony? I used to force the dolls to ride the poor, pastel coloured equines. They also had tea parties with Transformers (I was a girly tomboy.) As terrible as each sickeningly sweet doll must have smelled to my parents, and any adult for that matter, I loved it. My favourite scent was the evil Sour Grapes, followed by Blueberry Muffin's pet, Cheesecake. And yes, I did have to Google all these characters to be sure I had the names right. During the dysfunctional, Bluth family-like doll/pony/Transformer tea parties, I always imagined serving a strawberry tart very similar to this. Nothing can compare to fresh strawberries. They made me forget my initial disappointment over not being able to find raspberries and blueberries. I think they match perfectly with the sweet filling. Everything about this recipe is classic and simple, with maybe the exception of the pastry cream, whose silky smooth texture can easily trip over the thin line that separates it from scrambled eggs (just watch the cornstarch.) The tart shell could easily pass as a giant shortbread cookie. Dorie's pie and tart crusts are so flavourful and buttery, even non-crust eaters will devour everything on their plate. 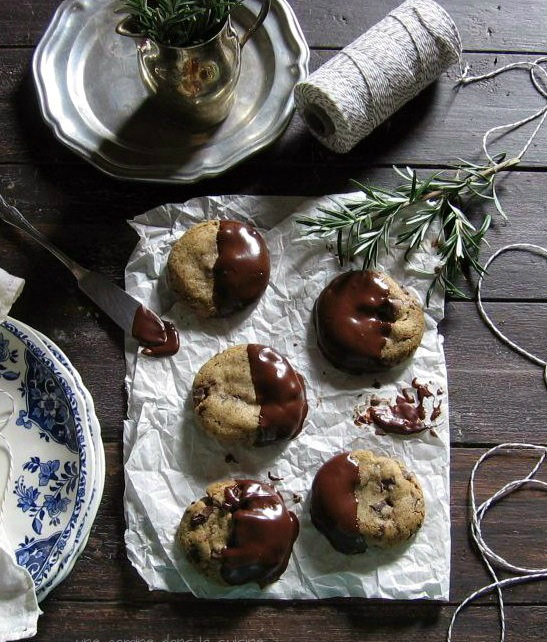 This is a perfect dessert to serve during the warmer months. It's easy on the eyes and has the bright flavour of Spring and Summer combined. Even macho Transformers would have seconds. 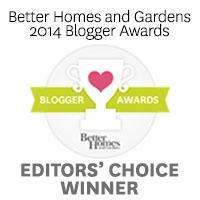 Thank you Cristine for this weeks fabulous Tuesdays with Dorie pick! You can find the recipe on her adorable blog, Cooking with Cristine. And please don't forget to visit the other TWD bakers! Love the artful way you arranged the strawberries. That is no easy feat considering all the different sizes you usually get in one carton. Aww, Strawberry Shortcake and My Little Pony :-) Your post brought back memories of the 80's for me! Whoa Valerie. Now this is beautiful and enticing. You did such a good job at making it looks so aesthetically pleasing-nice! Strawberry SC and the Little pony were my neices favorite toys! 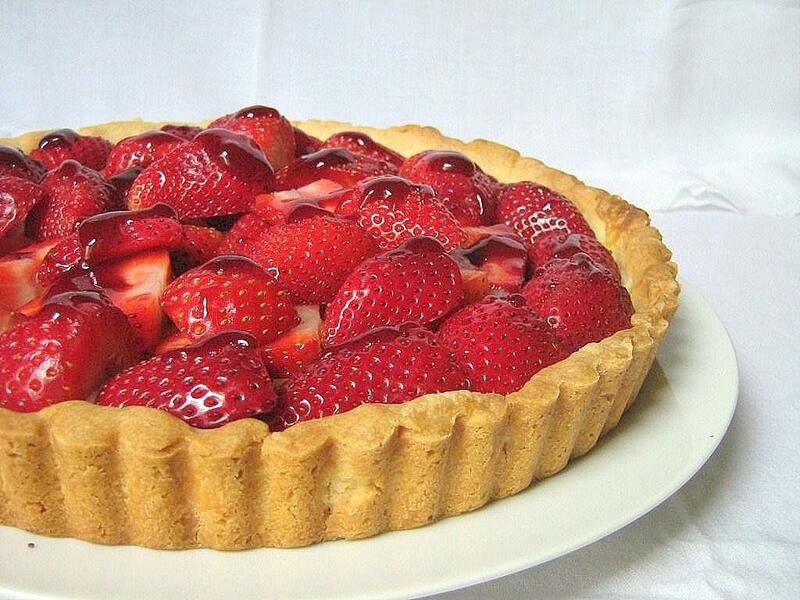 Your tart looks amazing and you placed the strawberrys so nicely on top! my little ponies! I loved opening up the boxes of barbies, etc. and smelling that plasticky sweetness. oh good times. You can't go wrong with strawberries. 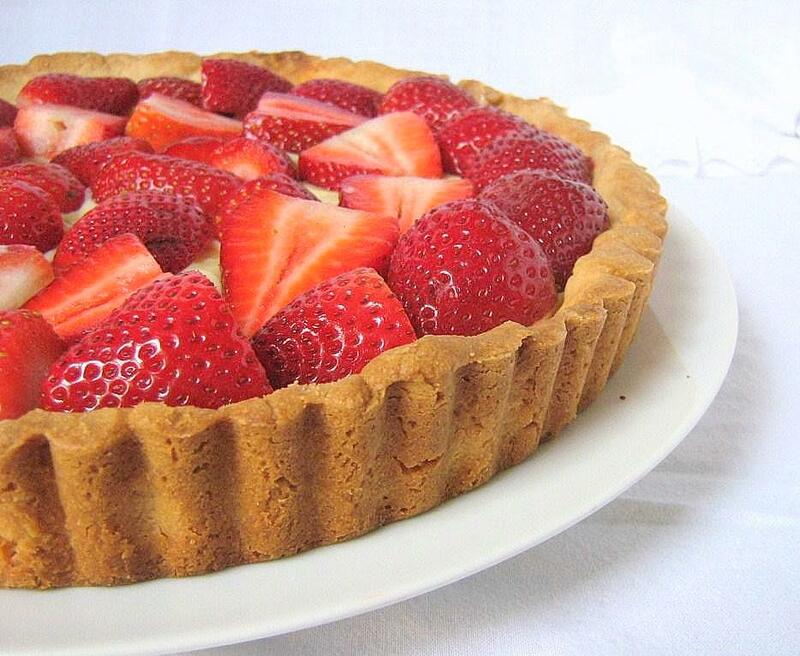 Beautiful tart. Your tart looks fantastic! Thanks for baking with me! That looks gorgeous with the strawberries--I can't wait till they're in season here! Ciao ! I think your tarts is so beautiful not even an alien could say no !! Strawberry shortcake was my father's favorite dessert! So believe me when I say we had it a lot! Your dessert IS a classic. And I love berry tarts with pastry cream. It's tricky, but I've been lucky so far. I loved Strawberry Shortcake when I was little too! 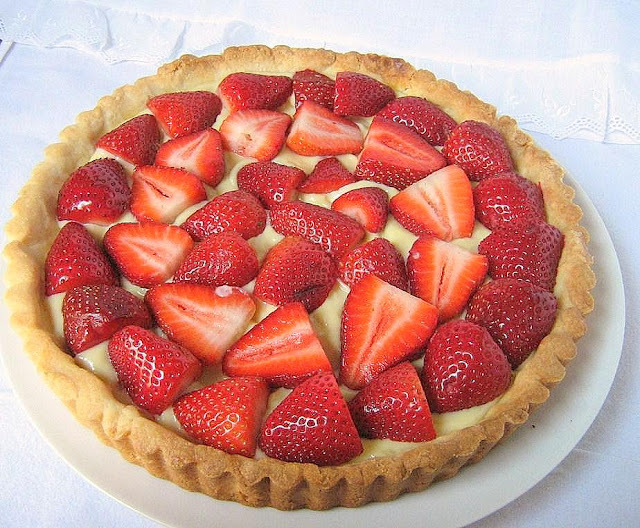 Your strawberry tart looks delicious! I do remember Strawberry Shortcake and the gang, but I think I was in to Smurfs more. Fun times! I have a thing about strawberries! It is so artfully presented, well done!!! We are picking berries here in North Carolina...soo good! Pity I didn't have a childhood gang of dolls. That would have been nice. But I suspect I would have the tart all to myself instead of sharing then. haha. This tart looks so beautiful and just screams Spring! So beautiful. Whenever I see a tart like this, I always think, Oh this looks so elegant," and then I think of grand parties and beautiful ladies in beautiful clothing, smiles. These look like the perfect strawberries - nice and ripe. You've really captured the freshness - so glad you enjoyed it - it was a great recipe!